First of all I advice "people not using eclipse already" to use the Product version. This is one install that includes eclipse and the plugin. You can find a download link for your os here: http://eclipse.baeyens.it/download.php. I advise to us the latest version. Mac users must install the latest version due to a change in arduino folder policy on mac. 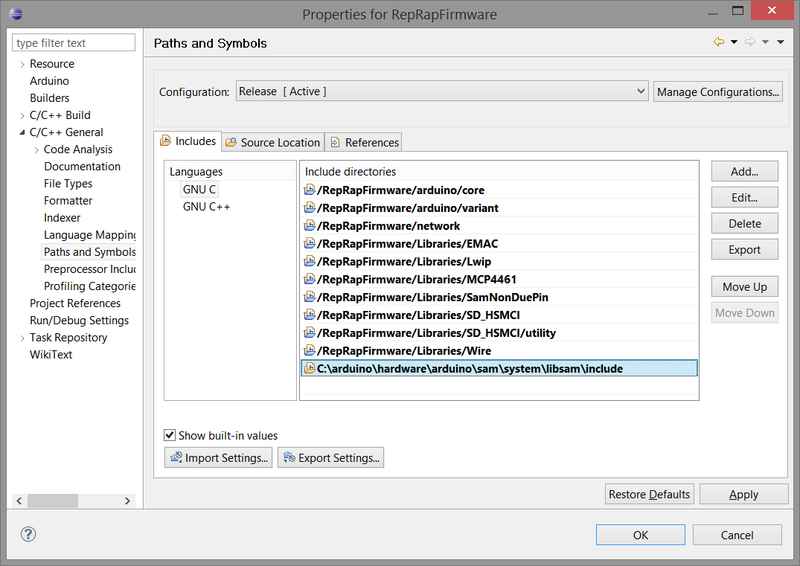 This is a guide to installing and configuring the Eclipse environment on Windows in order to modify and compile the RepRap Firmware for Duet electronics. It may be generally useful for getting Eclipse to play nicely with the Arduino Due board as well. Note that many printer settings can be changed in g-code within the RepRap firmware and you may not need to edit and compile a new firmware binary to run the RepRap firmware on your printer. This guide draws from a number of sources: Adrian's initial guide, 3D-ES's post on the RepRap forum and personal experience. I would really appreciate comments and feedback on how this works on other versions of Windows. If anyone is able to do a similar guide for Mac/Linux that would be greatly appreciated. 32 Bit. Throughout this guide I have stuck with using the 32bit version of Eclipse. This should work in more situations than the 64 bit version however let me know if you are successful with the 64 bit versions. Paths. 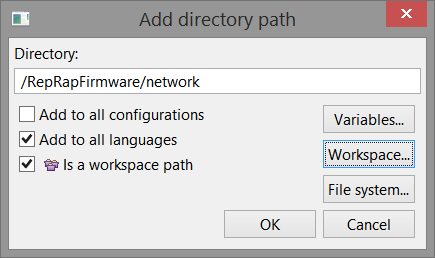 To keep it simple I have used C:\arduino, C:\eclipse and C:\workspace\RepRapFirmware as directory paths in this example - other paths should work but ensure you substitute the new paths in the instructions below. Run Eclipse: C:\eclipse\eclipse.exe. When prompted for the workspace enter C:\workspace and choose not to be prompted again. Close the welcome help window. Install the Arduino Eclipse plugin: Select the Help Menu, Install new software. Paste http://www.baeyens.it/eclipse/V2 in the "work with" field and click "Add". It will prompt you to name the repository, use "Arduino Plugin". 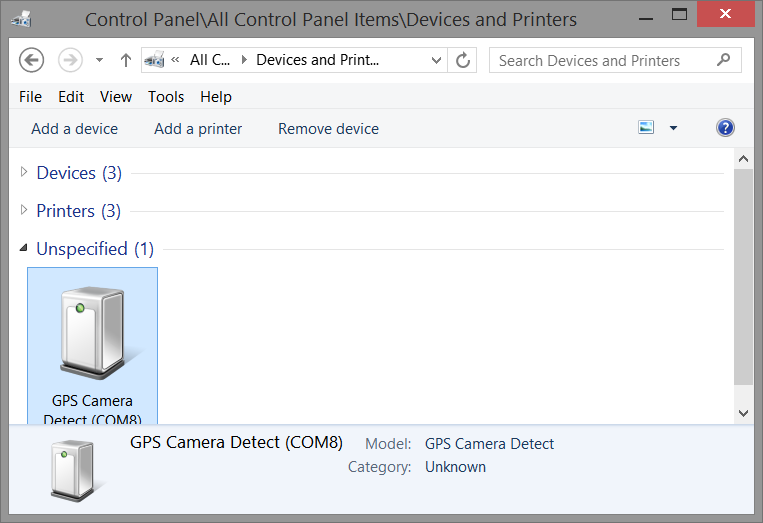 Uncheck "Group items by category" checkbox then select "Arduino eclipse extensions" item. Click through Next a few times then accept the agreement and finish. Yes to unsigned content, then restart Eclipse. 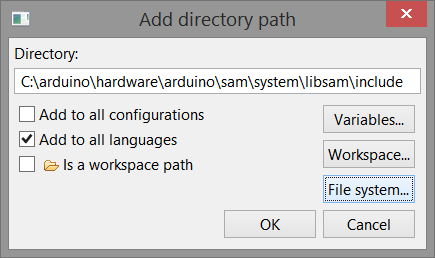 Setup the Arduino Eclipse plugin: Select Window menu, "Preferences", "General", "Workspace" Check "Save automatically before build". Then click "Arduino" and enter C:\arduino in the Arduino IDE path and C:\workspace\RepRapFirmware\Libraries in the Arduino Library path. Apply the changes. Setup the RepRap Firmware project: Select Arduino menu, "New Sketch". Set the project name to "RepRapFirmware". go next then select C:\arduino\hardware\arduino\sam\boards.txt and select Arduino Due (Native USB Port) as the board. NOTE the Arduino Due (Programming Port) will not work with the Duet. Set the port to "COM8" or whatever you found in the previous step. Only overwrite "RepRapFirmware.cpp" and "RepRapFirmware.h" do not overwrite the other files. Once they are all added click apply, choose to rebuild the index and select OK to close the window. Eclipse is now setup and ready to compile the firmware. 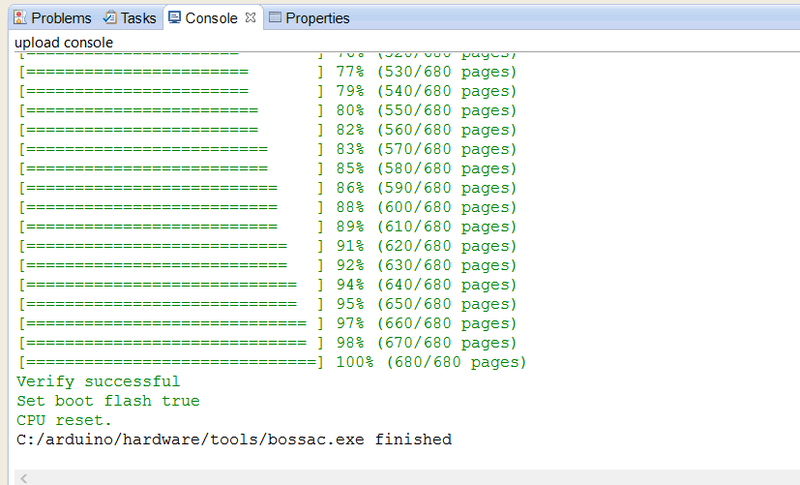 Compiling RepRap Firmware: The compilation output is visible on the console tab selected at the bottom center. Choose the Project menu, clean, clean all, OK. Then click on the green tick to "Verify", ie compile the code. With a different com port, this is the one you use in Pronterface to talk to the firmware over USB. The screenshot above shows part of the platform.h for the Multi Extruder branch which defines all 8 channels for the Duet and Duex4. I hope this post has been useful! During Setup the Arduino Eclipse plugin, when I enter C:\arduino in the Arduino IDE path , there is an error message "Arduino folder is not correct" , C:\workspace\RepRapFirmware\Libraries in the Arduino Library path but Apply changes is inative. use Arduino IDE tools in eclipse is checked and the test seriál dll loads successfully. I´m stuck, please help. 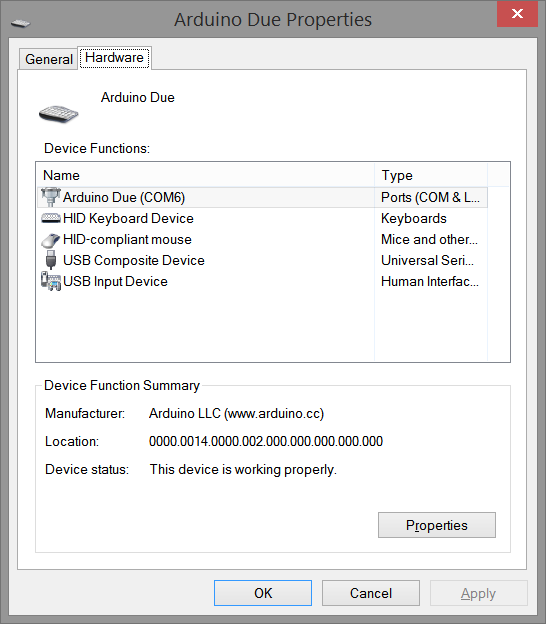 Hi Alfred, is Ardunio definitely installed to c:\ardunio? Hi Jan, I use Windows 8.1, 32 bit version and Arduino 1.5.6 R2. Thanks for the write-up Tony, very useful! All went as described, apart from warning from Arduino plugin about Arduino version being later than plugin, I guess that doesn't matter too much. It takes a bit of setting up, but Eclipse is so much more powerful than the Arduino IDE. Glad it was helpful and thanks for the heads up about the plugin warning. If everything compiles fine then I assume it doesn't matter. Btw, I can confirm the setup works well for Arduino Due as well (I am porting Marlin to Due). I created a new sketch following the same process, except I am using the programming port for programming. Now, if I can get a JTAG debugger working with Eclipse as well I will be very happy! Thats excellent news about porting Marlin - it will be good to have a variety of firmwares that work with the Due/Duet et al. I had an olimex debugger working with the Atmel environment but never got it going with Eclipse. The story on "GPS camera" - a Taiwanese company called Wonde Proud deciding to ship a product using Atmel's VID&PID for SAMBA instead of using their own ID. Whether this was just incompetence or wanting to save the USBIF vendor fee, I don't know. It seems that they submitted a driver to Microsoft who also charge for inclusion in the Windows driver database, but don't bother checking if the Vendor ID belongs to the submitter. make: *** [GCodes.cpp.o] Error 1 I'm trying the DC42 dev firmware branch. Im on windows using latest arduino 1.5.8 and latest eclipse Juno SR2. Can you please speculate on what am I doing wrong? I dont get that compile error so it may be todo with the way your Eclipse is setup with C/C++ compilation. This is jantje. The author of the arduino eclipse plugin. Though the writeup is correct I think there are a couple of improvements. This also means that the section installing the plugin is no longer needed. Secondly: you should not create the workspace folders. When eclipse asks the workspace it can be a non existing folder. So drop this section. Thirdly: I would change the section title "Setup the Arduino Eclipse plugin: " to "Configure the Arduino Eclipse plugin: "
Setting the "Save automatically before build" is no longer needed. In the section copy the libraries I do not understand the need to copy the wire library. Can you elaborate on why you do this? In the section setup the paths it is lots easier to select arduino->add library and select all needed libraries there. It is multiple select so this method should be lots faster. You probably still need to add "C:\arduino\hardware\arduino\sam\system\libsam\include" manually. Thanks alot for the information to update the post, and for you great work on the plugin - I need to try the new version. Regarding the wire library - when I wrote the post there were two versions of the wire library one for AVR and one for Sam3x. you had to copy that into the libraries path (or add another path to the setup) all the other libraries that are in the standard path work for either AVR or Sam3X AFAIK. There should be no need to do so. If you select the wire library from windows->add libraries the plugin knows (based on the selected boards.txt file) which libraries to include. Hi, i contacted DC42 as i was using his firmware, the glitch is his firmware works only with arduino1.5.6R2 anything newer is not compiling properly. I managed to compile a working firmware. Is there a Component I need to upgrade like the compiler? 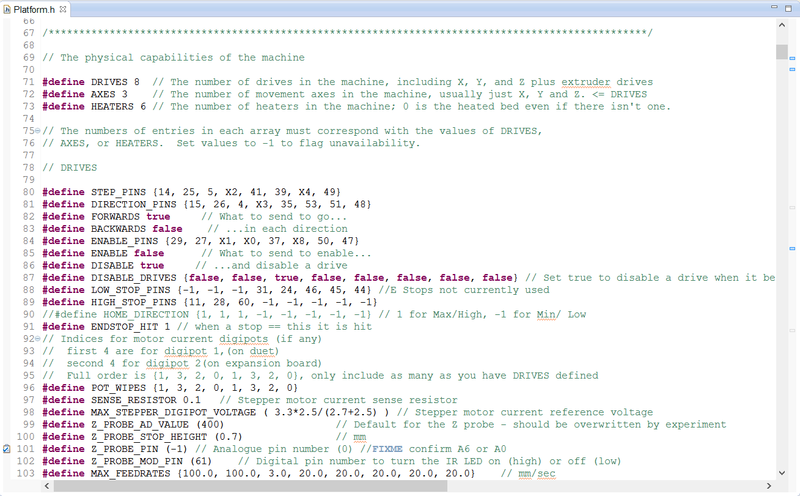 Guy, not sure but it may be that the latest version of the Arduino plugin/arduino is not compatible. Try with the old versions from when this blog post was done and see if that fixes the problem. I have not have a chance to test the latest versions. I'll also post this on the RepRap forum- the walk through has been immensely helpful and the detail you go into is ideal for a newbie like myself. Any ideas what may be happening/ things to try as it's very frustrating to not even be able to upload the config file, let alone modify it!! So firstly, are you trying to recompile a custom version of the firmware or just upload a config.g file. If the latter then there is no requirement for eclipse, just load the config.g into the /SYS/ directory on the SD card. The vast majority of configuration options are supported by DC42's latest firmware version. If you are setting up ecipse to compile a custom version then try verifying in eclipse (this means compile the binary .bin file) then use bossac on the command line to load the file to the board. Ensure you have erased the old firmware and reset the board before trying bossac.